Timothy Dalton being my favourite James Bond is a point of view I’ve never been reticent to share. I have found that he’s the connoisseurs’ favourite: I am far from alone in this opinion. The ‘received wisdom’ is that Sean Connery is the best James Bond, and that is the correct response when you’re questioned about your 007 preference: absurd of course when asked to advance a view on something that is a matter of taste, but I sometimes get funny looks from those who aren’t in the habit of questioning received wisdom. I’m happy to stand by my convictions for reasons I will explain. 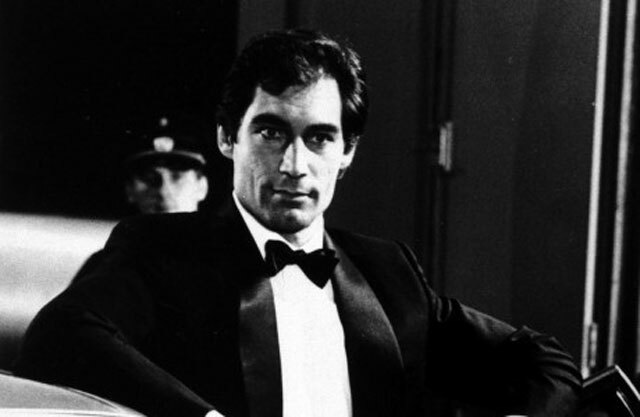 For many years, I simply said that Timothy Dalton is by far the most talented actor to have played Bond. That remains true, though Daniel Craig is also a fantastic talent. It’s no surprise that Connery, Lazenby and Moore never gave us their King Lears at the National Theatre, is it? But that’s not enough on its own. The more I have thought about it, the more I have realised that the fact that Dalton is a superb actor informs other reasons as to why his portrayal is the finest. There are one or two moments in the Dalton films that, for me, make all the difference. The first is the sequence early on in The Living Daylights when Bond is ordered to kill a sniper who may be targeting Koskov, a Russian former KGB agent who is defecting to the West. He notices that the sniper is a woman. No matter. He lines up the shot. Then he notices something else and deliberately misses, hitting the rifle out of her hands instead of hitting the target. “Your orders were to kill that girl,” 006 reprimands him. None of the previous incarnations of Bond could possibly have delivered that line. They were all establishment figures who obeyed their orders, allowing the British Government to act as arbiters of their morality. We (the audience) were asked to not question that the British Government were “the good guys”, and to not question the morality of their actions. There’s nothing so cosy in the world of Dalton’s Bond. Note that it’s not because the sniper is female, nor because she’s beautiful – he would still have killed her without a second’s thought if she had been a real KGB assassin. It’s because she’s not part of the game. We see an inverse of this in Licence to Kill when Bond learns that Pam Bouvier is CIA. Discovering this, he throws her across a bed, puts a gun to her head and orders her to tell him the truth. The rules of the game have changed because she’s no longer an innocent caught up in a dangerous world: she’s a professional – and therefore fair game to threaten as she’s on the same level as Bond. There’s another brilliantly subtle moment in The Living Daylights where M has ordered Bond to kill Pushkin, after intelligence from Koskov that Pushkin is behind ‘smiert spionum’ – a KGB operation to eliminate Western spies that has seen two British agents killed in Gibraltar. Bond follows his orders up to a point, tracking down Pushkin. He tells him to put his hands behind his head as if preparing to execute him. “Two of our agents are dead. Koskov’s named you,” Bond tells him. Again, Bond defies his orders and doesn’t kill Pushkin. Unlike with the sniper, it’s not because he’s innocent: Pushkin is head of the KGB! It’s because he’s not guilty of the deaths of the British agents, and therefore Bond won’t use that as a pretext to kill him. By not following his orders Bond is able to expose Koskov as a double agent, and he even uses Pushkin to bring him down. There’s a grudging admiration and warmth between Bond and Pushkin – hardly the black and white good versus bad of the earlier films. Dalton’s Bond occupies a much more morally complex world than any of the others (up until Craig – though even he is more likely to obey M’s orders blindly). He’s not more moral than the other Bonds: it’s just that he takes responsibility for his own actions. He isn’t simply obeying orders. In Licence to Kill this is taken to an extreme when he goes AWOL on his own vigilante mission of personal revenge. 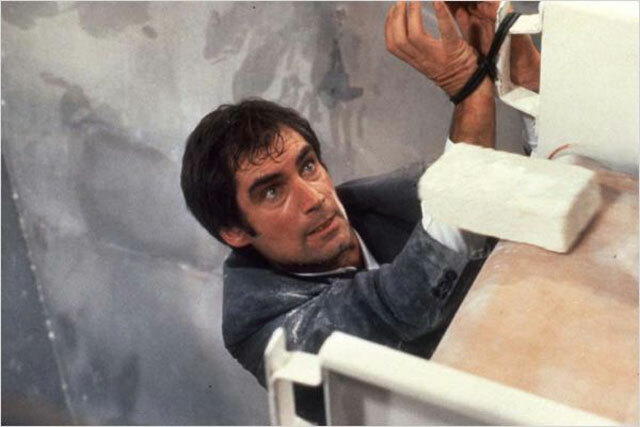 Licence to Kill isn’t a perfect film: Dalton’s hair is awful, Felix Leiter is miscast, and it suffers from weak direction in places – surprising since John Glen was rock solid for The Living Daylights – but bad direction is nothing new in the Bond franchise. There’s also some horrendous dialogue. Nevertheless, what’s unique about it is that it’s the first (and until Skyfall, only) Bond movie that is character-driven rather than plot-driven. In other words, it’s Bond himself who drives the plot through conscious action – rather than the usual mission from M in which Bond’s actions are informed by the plot and restricted by his orders. It’s very rare for an action film to be character-driven, and this is why Licence to Kill is a brave departure and an original approach. It’s no coincidence that the finest actor in the part is also the one whose character is full of subtle and interesting variation: the one informs the other. A great actor like Dalton can play the subtleties and tease out depths of characterisation that his predecessors could only have dreamt of. There’s another school of thought that stems from lazy and incompetent journalism that Dalton can’t do comedy and his Bond films are devoid of humour. Anyone who’s seen Hot Fuzz will see how good Dalton is at playing comedy. There’s plenty of humour in his Bond films too, though not of the silly and flippant one-liner type of the Moore films. Dalton’s humour is a fine line in dry irony (credit where it’s due – Connery is also excellent at playing drily ironic). “We’re free!” Kara says after Bond busts them out of a cell. 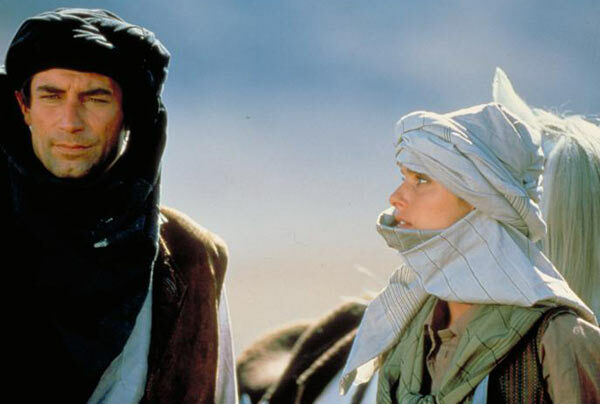 “Kara, we’re in a Russian airbase in the middle of Afghanistan…” I also love Wayne Newton’s character in Licence to Kill: a crooked televangelist (though in my view the adjective is redundant). i) He bleeds. I think I’m right in saying that he’s the first Bond to bleed? 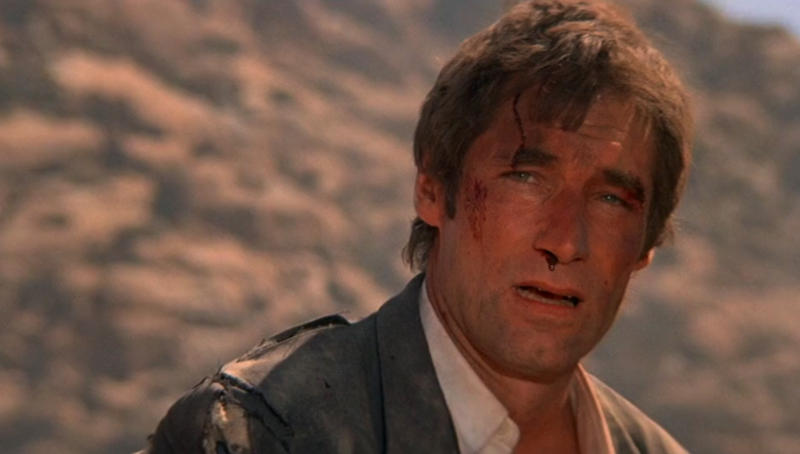 He looks a right state at the end of Licence to Kill. His nose is bloody, his hair’s a mess, his jacket’s ripped and he’s covered in dust. After he kills off the main baddie, Robert Davi, Bond dry heaves. It’s an amazing reaction. Dalton’s is a human Bond. ii) He’s a badass. He doesn’t like being questioned under duress and tells his interrogator to “piss off”. iii) He uses women. He’s happy to romance them, bed them, take advantage for sexual favours wherever and whenever he can – just like the other Bonds. But he also makes use of them. He strings along Kara in The Living Daylights because she’s Koskov’s girlfriend and therefore useful. His motives for bedding Sanchez’s girlfriend inLicence to Kill are similarly pragmatic and amoral. To be clear: I’m not approving of such behaviour in the real world: but in terms of the character of Bond, it’s more interesting than the usual shagging for shagging’s sake. iv) He dresses well. It’s not just that Dalton looks good in everything (he does), it’s that he adapts his costume to meet the needs of his situation. He blends in well to his environment. He dresses like an Afghan when in Afghanistan and so on. There’s always areason for his costume change, and he uses clothes in the service of his job. v) He’s anti-establishment. He takes responsibility for his own actions and won’t compromise his morals to obey an order. Only Daniel Craig has also managed that level of complexity. vi) He smokes. The last Bond to do so on screen. Again, I’m not pro-smoking, I just think it fits Bond’s character. Is he expecting to die in bed at the age of ninety-nine? Brosnan’s anti-smoking one-liner on the other hand completely breaks the fourth wall and is, frankly, embarrassing. I’m not in any way claiming that it’s a fact that Dalton is the best Bond, I’m just giving my reasons why I personally enjoy his portrayal more than any of the others. It depends what you look for in the films. You might not necessarily want moral ambiguity, subtlety or deep characterisation in your Bond, which is also absolutely fine. I like my Bond human, edgy, and morally complex. Dalton provides that in buckets, and none of the other Bonds (bar Craig, who is now repeating what Dalton did twenty-five years ago, but is a fine enough actor to make the role his own) come close. He may only have made two films, but he captured Bond perfectly and hit the ground running. This entry was posted in Blog, Essays and tagged Ian Fleming, James Bond, Timothy Dalton by GregoryJ. Bookmark the permalink.